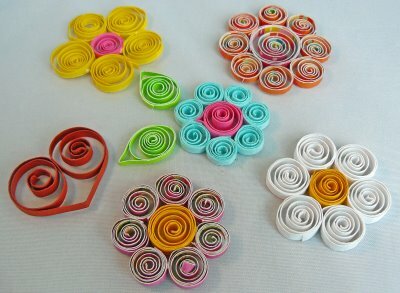 Description: Quilling art is a process which uses strips of paper rolled and sealed in order to realize 3D ornaments. The final products are great-looking and can be sold to people who enjoy this kind of an art, but also at many holiday themes. Tools and materials needed for the process are: needle quilling, paper strips or sheets of paper, cutter, glue and other items that are necessary for complex projects. The quilling needle can be ordered from online shops and it is usually in the form of "quilling kits" that contain other necessary materials and photo tutorials. You May not even need to purchase a needle for quilling (if it is not), many fans of quilling finding many solutions that can replace this object, from simple large needles to toothpicks. - Acquisition of necessary tools: needle, glue, knife, ruler, etc.. Conclusion: Quilling is starting to be more known and taking into account that the investment is almost zero, you can make some valuable products and this activity can become a source of additional income. 0 Response to "Business Ideas: Quilling"